Greetings to all visitors to the final inspirational card for the week, here at Dies R Us. I hope you've had the chance to check out all of the other fantastic inspiration prepared for you from our great Dies R Us team. If you don't already know Dies R Us are starting a challenge blog starting on May 1! Be sure to check out the wonderfully talented teams from across all parts of the world, who will be hosting two challenges per month starting on the 1st and 15th of each month. And don't forget to follow the challenge blog so that you don't miss out on all of the fun. 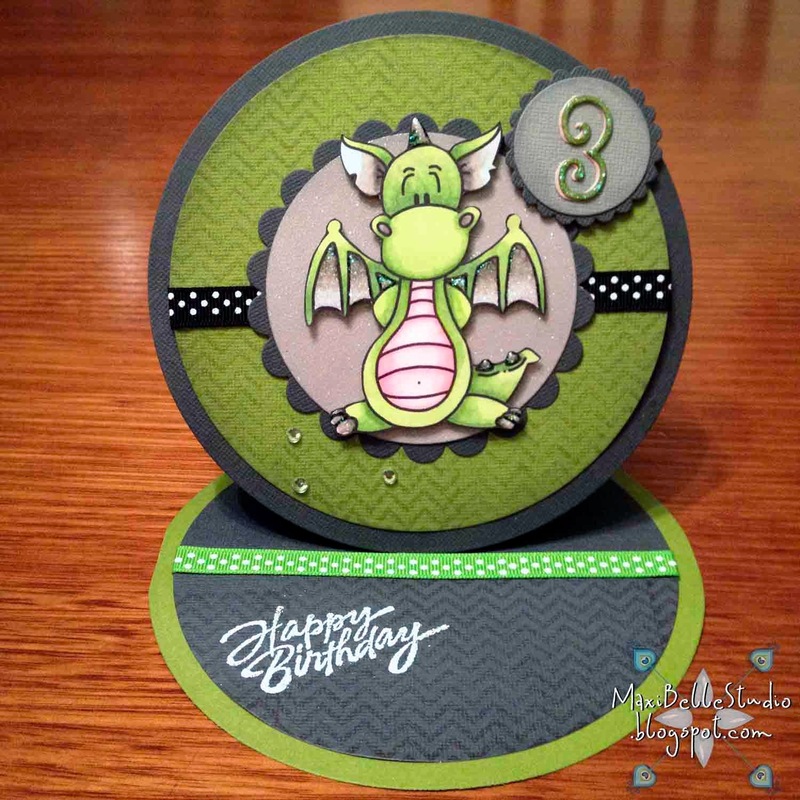 Back to today's inspiration and tutorial, I'm showcasing a few dies which should be standard in everyone's stash! Today's card is brought to you by Spellbinders. The image I've used is the cute 'Clyde' from Bugaboo (isn't he just gorgeous!) and I've coloured him with Copic markers. 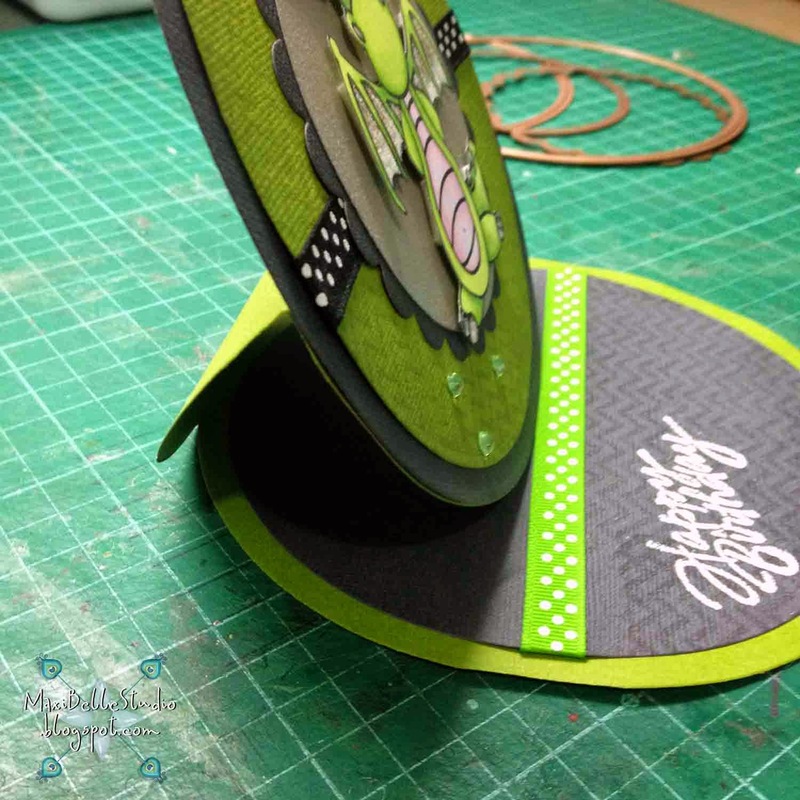 I've fussy cut him out and layered him on foam tape on a layer stack of glitter cardstock and standard cardstock using Spellbinders Standard Circle and Spellbinders Scalloped Circle dies. This is actually an easel card made using the largest dies in this series, the Spellbinders Grand Circles. This style of easel card is very simple to make too, as I will explain. Step 1: Choose your card base and fold and score it in half. Place the appropriate sized Spellbinders Grand Circle die slightly overlapping the folded cardstock and put through your press (as below). 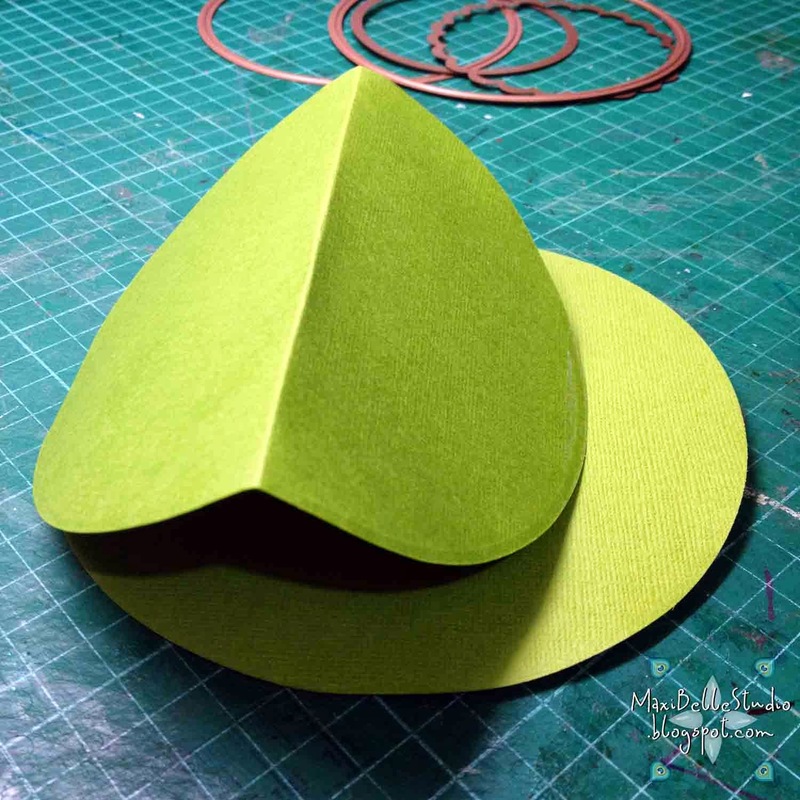 Step 2: Open your card base and fold one side in half, back into the centre (as below). 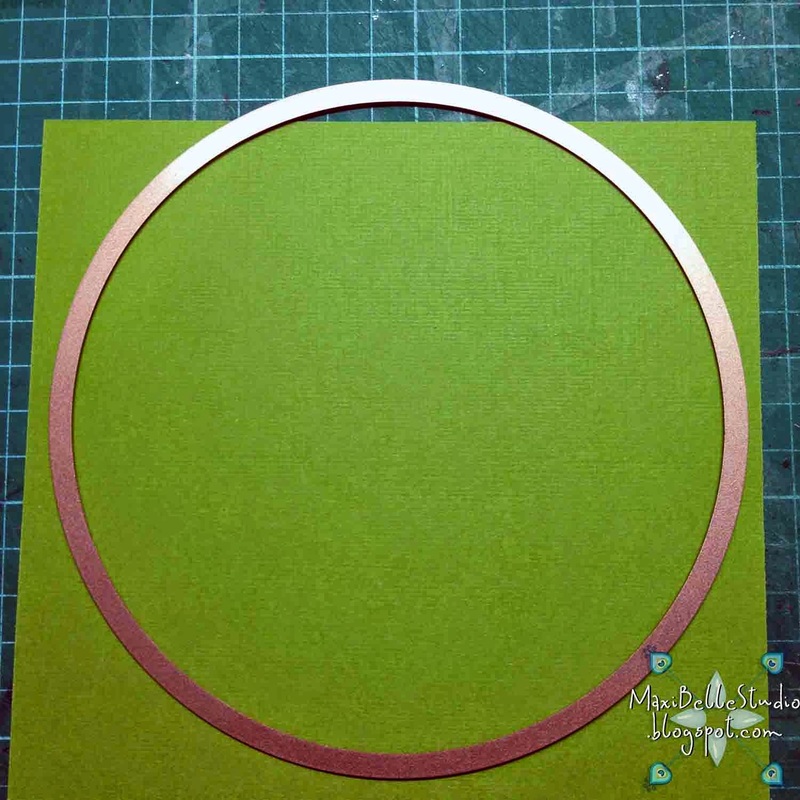 Step 3: Cut a single circle from cardstock the same size as the base and adhere it to the bottom folded half of the card base (as below). Decorate as you like. Note: to make it stand up nicely, add something 'raised' so that it can rest on it. I've used ribbon on my card, however anything like buttons, badges or elements on foam dots works well too. And there you go, a quick and simple easel tutorial. Thanks for stopping by & don't forget to check out the new challenge blog too! Clyde is just adorable! Great job coloring him and I loved the tutorial! Nice tutorial! Super cute card!!! 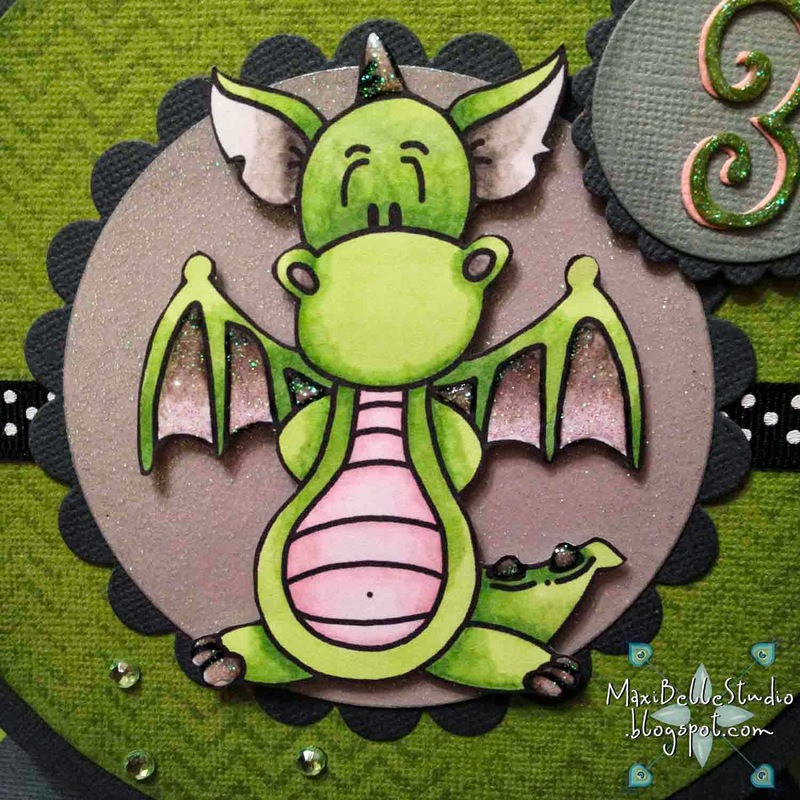 Wonderful tutorial and LOVE this dragon!! Cute!